Claudia joins Acapela’s chatty family, enriching our extensive repertoire of voices. Listen to her now! 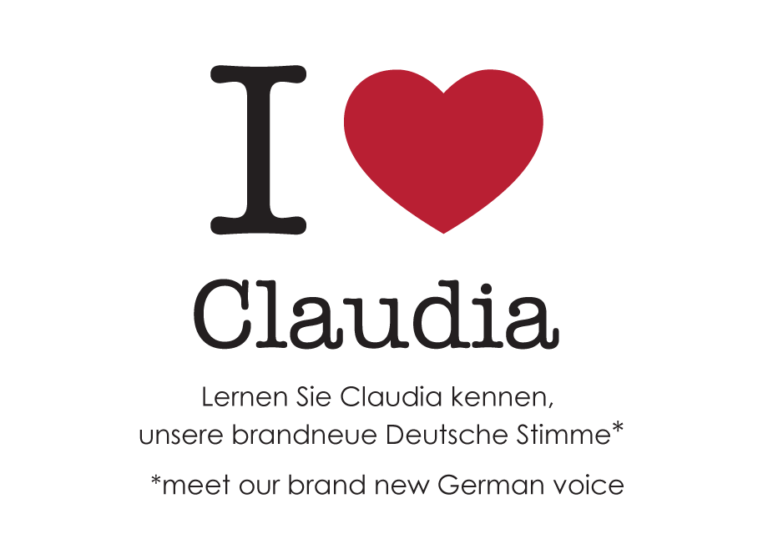 We are delighted to introduce Claudia. Based on improved methods and optimized linguistic processes, Claudia is part of a new wave of Acapela voices, that are extremely pleasant to hear. They are even more natural, fluid and intelligible. She is joining French Manon and American English Sharon who have been successfully performing their audio role for several months now. Claudia expresses perfectly the true sense and meaning of content being read, through intonation and depth that capture your imagination and hold your attention. She can handle a wide range of tasks, involving both short and long content. She is particularly suited to reading long texts. ‘We are very pleased to add a new German voice to our voice repertoire. We are convinced that Claudia will brilliantly perform her audio tasks, whatever the application field – from audio books to public transport announcements, navigation or phone services to name only a few of them. First feedback we received from the market are extremely positive and we look forward to satisfy our customers and partners demands for a new bright voice for the German market’ comments Lars-Erik Larsson, CEO of Acapela Group.